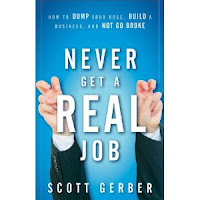 What I'm Reading: Scott Gerber's "Never Get a 'Real' Job"
Currently, I’m reading “Never Get a "Real" Job: How to Dump Your Boss, Build a Business and Not Go Broke” by Scott Gerber. The title in and of itself got my attention, because that’s really my mantra these days, and while I can appreciate the effort that the author makes, I don’t appreciate his tone throughout the book. I get that he feels the need “slap” Generation Yers into "doing the right thing", and getting out of their alleged “entitlement funk”, but the book is filled with language I would consider to be “unnecessarily rough”. If it weren’t for the overall curt tone of the book, this would be an otherwise great read. After the first chapter, I grew tired of Gerber trying to be all “in your face and tell it like it is”. Yes, I appreciate a frank, honest, and forthright “tell it like it is” take on just about anything, but something about this one just rubs me the wrong way. I can’t quite put my finger on it, but something about this author and the way he presents himself, just makes me think of him as a twerp as he makes these admonishing and chastising statements every other page. If it weren’t for these underlying factors, the book itself might be very helpful. Plus, I’m sure there are some people who won’t take issue with the way that he speaks, so they may find the book wholeheartedly useful. For me, Scott Gerber seems to talk a lot about how “old business books” and “old business experts” do things the “old way” based on some “1985 conception of business”, but at the same time, he makes it seem as if the new way of doing things is to be rude and a jerk! Even if he’s got some great message towards the latter end of the book, I probably won’t get to it. After a while, something about what he was saying just got annoying. Finally, I find it funny that I had not heard about this book before, and I just happened to come across it, judged a book by its cover, and found it to not be what I expected. I couldn’t help but point out the irony of that, given how often I hear “you can’t judge a book by its cover”, and how faithfully I believe that usually isn’t true! If you ever happen to read this book, let me know what you think. This week's podcast is entitled "The Adventures of Moving On", and while it's a bit lengthy, it details what I've gone through that's taken me to the point where I'm ready to move upward and onward with my professional career as I continue to grow my business. And the fun part is, if you listen, you'll find out what "Leisure Studies" is! LOL. If you happen to be one of the good people out there that listen to this podcast, and would like to help in my never-ending quest for personal and professional fulfillment, please feel free to leave comments below or get in touch with me directly, either by email “podcasts @ exclusivemultiplicity.com”, or by finding me on Facebook, Twitter (@KindraCotton), or LinkedIn. You can also contact me via Skype at my name Kindra.Cotton, and you can now call me on my Google Voice line at: (201) 870-0234. If you leave a message on my Google Voicemail line, please be sure to mention which podcast you listened to. What I'm Reading: Dante Lee's "Black Business Secrets"
Currently, I’m reading “Black Business Secrets: 500 Tips, Strategies, and Resources for the African American Entrepreneur” by Dante Lee. The title itself would normally turn me off, because anything that’s present as a “secret” or letting you in on something you don’t know, just reeks of a scam to me. But this book actually came highly recommended from a colleague, so for that reason, I grabbed a copy of it. So far, I like it. I’ve only gotten through the first chapter, but it’s a good read, though I admit the discussions about the hindrance of progress of Black businesses is angering to read, especially during Black History Month! I haven’t quite gotten to “the secrets”, just yet, but I’m going to continue reading it. Because it was highly recommended to me, I’d highly recommend to others. I’m eager to finish it, and am even thinking about looking into a book club to talk about it with. This week's podcast is "The Adventures of the Grammys". This past Sunday, I watched “The Grammys” for the first time in nearly a decade. I didn’t really enjoy it, and the show itself was pretty much a letdown for me, since I’m no longer a big fan of popular music. I think Lady Gaga is overrated, and I do think her new song is just an old take on Madonna’s “Express Yourself”. It even sounds the same. Plus, I couldn’t believe when she won that she actually thanked Whitney Houston instead of Madonna. Yes, we’ve all been inspired by pre-crack Whitney, but really? Given the monumental influence that Madonna and Grace Jones appears to have on Lady Gaga, you’d think she’d be more generous with spreading her “thanks” around. Aside from that, Lady Antebellum’s big win with “Need You Now” actually rubbed me the wrong way for a few reasons. One, I actually liked the song. Living in Nashville, I was actually exposed to the song, ad nausem, for months, without having any idea who the artist was. I initially hated the song. But after hearing it time and time again everytime I walked into a Target or Kroger, it actually stuck. So, on the one hand, I am fond of the song and do like it. But then, on Grammy night, to find out that the group behind the song is called “Lady Antebellum”, it first gave me pause, then immediately upset me. Whereas I was almost ready to give into the “pop culture pressure” and purchase the song that’s still stuck in my head to this day, I opted not to because I simply cannot support any group or person who romanticizing the pre-Civil War South. When I hear the term “Antebellum”, I think of slavery and The South. I was slightly curious if there was a story behind their chosen name, then it hit me: “I don’t care!”. It’s an insensitive moniker, and if they didn’t think about the name and its implications, they’re careless, and if they thought about the name, and stuck with it, then they’re thoughtless. Either way, as a Black woman, I cannot support something that’s an homage to the South and its wicked history of subjugation and oppression of Black people, and shame on “Lady Antebellum” for choosing such a divisive name. Of course, I make that last statement somewhat tongue-in-cheek, because I know that given the American school system, many people have no idea what the term “antebellum” means anyway, so they probably don’t understand what the hubbub would be in the first place. Needless to say, nothing about the Grammys was overly impressive to me. It’s been strange that within the last 5 years that I’ve resided in “Music City”, music has been all but “dead” inside of me. Just doesn’t move me the way that it used to, and by that, I generally mean NEW music. There just aren’t a lot of new artists that are able to hold my attention, plus I don’t find myself as "wired" into the music industry and all that it entails anymore. So, at this point, you may be asking yourself “What does this have to do with the struggles and triumphs of a serial entrepreneur?”. Well, for starters, it’s something that occurred to me, thus I find it interesting on just that premise alone! LOL. But seriously, I share this because despite the lackluster entertainment showcase that The Grammys provided, it was still nonetheless inspiring to me. Especially when Esperanza Spalding won. I loved how she beat out Justin Beiber and the seemingly more “popular” artists, and actually won on what appears to be true talent and artistry. Esperanza’s win reminds me that there is actually a place for good music, even outside of the heavily commercial influence, and it’s that kind of music, and that kind of environment that I’d like to be involved in one day. Part of the reason I work so hard now as an entrepreneur trying aggressively to make something happens is because I need money. And not just money to pay bills (though that would be nice), but money to open up opportunities for me that have been denied due to my lack of capital and inability to do many of the things I’d like to personally and professionally, as a result. My long-term goal is to have a “music business university” that works to promote artistry and education among people who, despite all good counsel, just can’t not make music! I want to help those people, who would make the music that they make for free, try to make some money, and not die broke when it’s all said and done. This has been something that I’ve wanted to do since I was about 13. I like to think of myself now as preparing myself for the day when the opportunity comes where I can make this dream a reality. So, while The Grammys themselves were disappointing this year, what I walked away with from them wasn’t. I still have that renewed vigor to get out and make my dreams happen! I’m at the point where I love what I do, and I’m doing my best to hold on so that I can get to the point where I love what I do AND am getting paid handsomely for it. I’ve had so many terrible jobs and bad experiences over the past few years, especially while in Nashville, that I’m convinced that a better day has to be right around the corner. Though I know it’s not impossible to think that someone can continually be on a downward spiral for 5 years straight, I’m going to be positive and HOPE that that’s not what’s happening! Here’s a brief overview of one of the books I’m reading this week. Currently, I’m reading Melinda Emerson’s “Become Your Own Boss in 12 Months: A Month-by-Month Guide to a Business that Works”. The best way I can describe this book is by sharing my review of it from Amazon.com: I wish I had this book back when I had a regular job! My life surely would have been easier and I could have avoided many of the entrepreneurial pitfalls that littered my path along my journey to business success! What I love about this book is its ability to get you thinking about you and your business, and it provides the kind of "plain-language know-how" that cuts to the nitty gritty and helps you get things done. On an annual basis, I probably read or skim roughly 50-60 books geared towards small business owners, or those who are thinking about starting one. Each one has advice on what you should and shouldn't do, and generally offers some generic prescription for how you should improve your entrepreneurial acumen. "Become Your Own Boss in 12 Months" differs from these texts because Melinda Emerson not only tells you what you need to do, but also why it's important and why it should be included in your thought processes as you move forward with your business. This book could have transformed my life had I gotten it when I first had the "entrepreneurial itch" years ago. I highly recommend it for anyone considering leaving their traditional job to be their own boss. I would also recommend it as a much-needed resource for existing entrepreneurs seeking to grow their enterprises. The Adventures of Getting on With It! This week's podcast is titled "The Adventures of Getting on With It!". I usually spend most week’s podcast episodes talking about the struggles and triumphs that I have on a regular basis. For the most part, the struggles are pretty consistent: limited financial capital, a precarious living situation, struggling to build a business with limited support and an even more limited personal and professional network to tap into. The triumphs, which even I can admit seem somewhat hollow some days, is that I’m still here. In what’s now apparently year after year, when some people think I should have evaporated and disappeared into thin air. So, I started this week, really excited to check out some local competitors that claim to work in the field of Social Media and are attempting to educate the masses, through offering fee-based courses on various topics on the subject. This notion is particularly interesting to me, for a number of reasons. First, I’ve been told that holding fee-based workshops in the city of Nashville won’t work, because people here won’t pay (despite the fact that the model works in other cities within a 50-mile radius). Next, I’m especially interested to see anyone that presents themselves to be a “social media expert” or “guru” at this stage in the game. Though I won’t go as far as Allison Boyer and say there’s no such thing as a 'Social Media Expert' because the field is too new, I do think there’s an overabundance of people out there that are claiming to be “gurus”, who don’t even have the rudimentary tenets of “social media” down, which would be having actively used social media profiles. And by that, I don’t mean a Twitter account that was started in April 2009, and never touched again. So, anyway, the class that I intended to attend didn’t happen today, and I’ve subsequently found that the level of professionalism among the organization behind it, definitely leaves much to be desired. 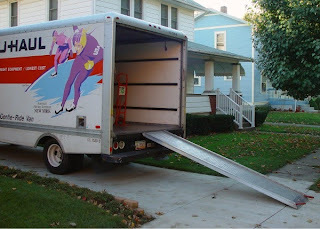 But what having that experience did, was propel me forward to go ahead with all the things I’m currently working on. Now, to catch you up, I’ve been trying to work on putting together some social media classes, but the intent of each serves different audiences in different ways. A lot of the basics that go into the classes actually comes from the working manuals of what I do in my business, and the more detailed versions, are actually part of my pet project “Bootstrapping Without Boots”. What I decided to do, was add a blog to my main company’s website (SSS for Success), and really start using that more to generate interest and potential clients. I think I do really well when I actually sit in front of people and talk about what I know, but I’m definitely finding that my biggest problem with growing my business is not having the opportunity to be in front of enough people to keep them in the revenue-generating pipeline. Plus, a lot of what I hear (or have heard) from others revolves around having case studies or showcasing the work I have done. I figure they’ll be no better example of showing how my methods bring about success, than showing how I’ve used them, and brought about MY success. I know that the logic is probably only half right, but I’m running with it. LOL. Over the past few weeks, I’ve been trying to work with people, and partner and reschedule and tweak things, and what I’ve noticed, now 5 weeks into the New Year, is most of these activities have only gotten me off track from what I need to be doing. I mean, I get the idea that you need to work with people to make things happen sometimes, but I’m finding that working with others, or trying to incorporate them into my larger vision as I move forward, is a hindrance. So, that’s why this week’s title is “The Adventures of Getting on With It”. I’ve done all the necessary planning and research to suffice my own alleged Type-A tendencies, and I’m ready to move forward, with or without folks who say they want to get on board! So, with that in mind, by the end of this week, my new company blog will be up and running. The Bootstrapping Without Boots blog will be back up and running, with fresh content, and a new direction. I’ve added a multi-week curriculum that I think is definitely going to give the blog more meaning to its visitors, and hopefully get them to that revenue-earning place that so many of them have written to me wanting to know how to get there. I’m really excited about that. I recently moved up and am now the NATIONAL Online Marketing Examiner for Examiner.com, and that’s awesome, especially since I found that a lot of my content for online marketing just didn’t have a Nashville-base to it, and I was getting dinged every week for not having enough local content, so this new move is an awesome one. Plus, it gives me yet another platform to share stuff on, so I’m excited about that, and I’ll be spending this weekend working out my blog calendar for it. 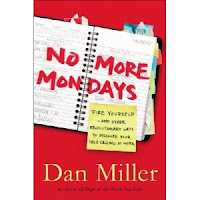 What I'm Reading: Dan Miller’s “No More Dreaded Mondays"
As promised, here’s a brief overview of one of the books I’m reading this week. Currently, I’m reading Dan Miller’s “No More Dreaded Mondays: Ignite Your Passion - and Other Revolutionary Ways to Discover Your True Calling at Work”. I’m a fan of Dan’s and I’ve actually met him a few times, and during one of those meetings, he gave me a copy of this book. I’ve been through many trials and tribulations recently, but I’ve finally gotten the opportunity to sit down and start making my way through. It’s certainly an inspirational read, and even though I feel that I’ve found my true professional calling, it’s still a great book to read. So, if you’re now in the position where you hate your job, and are looking to get out of your rut. This is the book I recommend. Dan Miller is also the author of “48 Days to the Work You Love”, a book that I’ve talked about that was transformative in helping me get to the point where I can make peace with utilizing my God-given talents in a way that not only helps me, but can hopefully help others in the process. I still highly recommend this book as well. 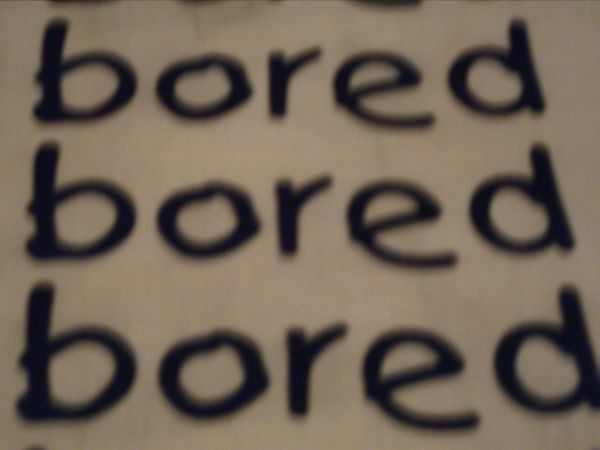 This week's podcast is entitled "The Adventures of the Lull". I’m bored this week. Nothing in particular happening this week, with the exception that yesterday marked the day that several of debts are being “charged off”, which I know means there’s merely a lull between now and the time that collection agencies start making their near-comical calls. I ended last week, having my regular round of calls with various creditors, and at this point, I’m convinced they just keep making these calls because they really want to forge a friendship with me. Can’t be any other reason. What I find interesting about this whole thing, with most of my creditors, is that for more than a decade, I paid everything on time, was never late, and often times paid 2-3 times more than any minimum payments that existed for any balances I held. I didn’t make any ridiculous purchases, or splurge unnecessarily, or make unwise financial decisions. In fact, a few months ago, realizing the inevitable writing on the wall, I took the possibly unorthodox step of contacting each of my creditor’s executive’s offices and asking for assistance BEFORE my accounts became late and past due and susceptible to collections. Though I did get responses (mostly simply acknowledging my letter), I didn’t get the help I needed, which for me was a series of payment arrangements that I knew I could afford at that time, to hopefully avoid the worst case scenario. If my request had been granted, I probably wouldn’t be in the situation that I am today, but it wasn’t, so it is what it is. Right now, things are at that point where they’re “eerily mellow”. Nothing’s quite “up” but nothing’s quite “down”. There’s just a calm, but I know it’s the calm before the storm. Today’s the first of February, and the start of Black History Month, which just means I’ll see more Black people on TV and in the news for the next 28 days, than I will for the remainder of the year in any medium. I’ve only got 28 short days to make the most out of this month, so I’ll be doing my best to try to make that happen. 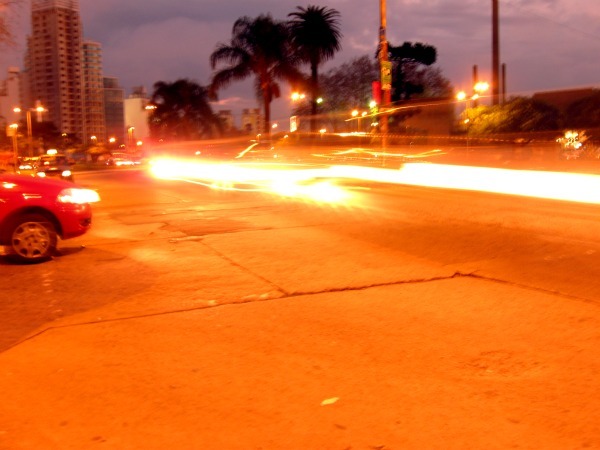 In the meantime, I’m adding a new segment to this blog and podcast called “What I’m Reading”. It’ll just be a quick blurb detailing what books I’m making my way through at any given moment. My hope is that they maybe inspire someone, or just bring to the forefront a book that you otherwise would have missed and might want to check out.